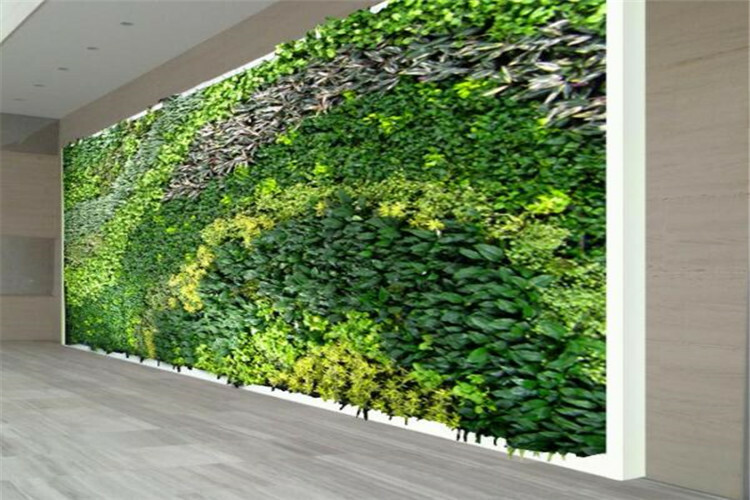 Artificial Plant Wall For Garden used for indoor and outdoor decoration, Garden Vertical Artificial Green Wall is made of PE. Garden Vertical Artificial Green Wall has no harm to human. Suitable for weddings,parties,supermarket,home garden,hotels, etc. Garden Vertical Artificial Green Wall color is bright and natural. 1.Artificial Plant Wall For Garden almost don`t need maintain. 4.Artificial Plant Wall For Garden is convenient to install and remove. 5.Relatively low cost compared with real plant. 6.Vertical Artificial Green Wall can be used for both interior and exterior place decoration or for other functional application like privacy screen. HEBEI LOVER ARTIFICIAL PLANTS CO.,LTD. is a professional manufature and supplier of artificial products for more than 10 years. Our product including Synthetic Artificial Grass Turf, Artificial Trees, Artificial Vine,Artificial hedge plant, artificial flowers and artificial plant sculpture. We hope that we could provide customers with more methods and materials for greening and decoration. Leading by the value of "Stick to the baseline of morality, think about others and strive for excellence" we are dedicated to provide custom-designed and solution-based products to meet specific requirements.